Specifying mechanical engineers know that increasing efficiency is key, which is why it’s critical to manage energy costs and efficiency. Help your customers install the best solutions for their businesses. 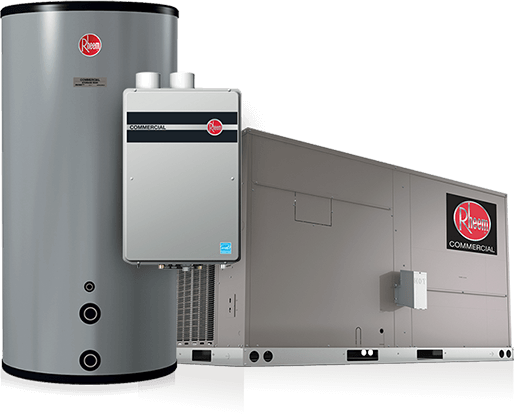 Choose Rheem®—the world’s only provider of complete heating, cooling, water heating, refrigeration and integrated solutions. 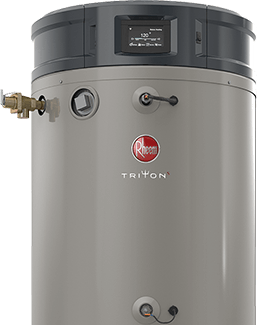 Take advantage of the sizing tools and documents below or get in contact to let our experts show you how our air and water solutions can help you choose the most efficient option for your commercial project or job. 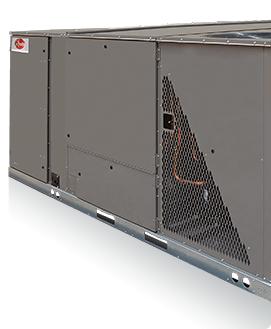 Retail stores require durable, dependable and efficient heating, cooling, water heating and refrigeration equipment. That’s why we engineer innovative products whose effects can be felt from the offices to the shop floor—and in your profits. Made precisely for spec engineers. 1Source:https://www.environmentalleader.com/2016/07/hotel-water-use-are-you-flushing-money-down-the-drain/ 2Source: Energy Information Administration, Office of Energy Markets and End Use, Forms EIA-871A, C, and E of the 2003 Commercial Buildings Energy Consumption Survey. 3Source: Energy Information Administration, Office of Energy Markets and End Use, Forms EIA-871A, C, and E of the 2003 Commercial Buildings Energy Consumption Survey. 4Energy.gov/eere/buildings/about-commercial-buildings-integration-program.